Pages describing the services that I offer. Each service could have child pages describing one of that service's "features" or sub-products, e.g. Website Design > Wordpress Sites, Website Design > SEO etc. These same "features" may be categories for information / blog posts. "Features" could be a different custom post type. My technical, SEO and linguistic skills can increase visitors to your website, encourage them to take the actions required to generate a conversion + monitor the results. Expect my translation of your Spanish text to sound 100% natural and have the same impact on a native-English-speaking reader as your original would have on a Costa Rican. 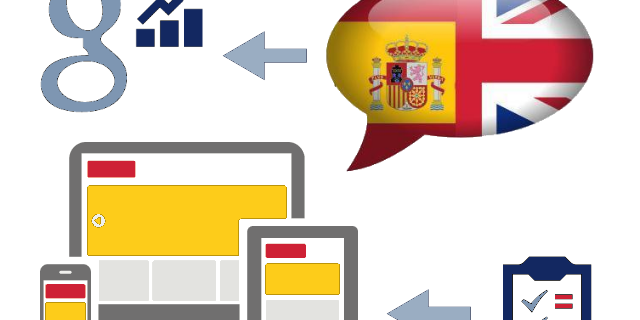 Fully optimised websites that will attract customers to your company, whether their native language is Spanish or English and irrespective of the device they choose to use to access the Internet. Copyright © 2019 Consult Jon. All Rights Reserved.